Watch full Naruto Shippuden Season 20 Episode 27 English Dubbed full HD online. Naruto Shippuden Episode 440 English Dubbed online for free in HD. Tsunade reads on, and is surprised when Neji calls the masked man his father. Shizune arrives with alcohol for Tsunade, who drinks up and resumes reading. Neji asks about the kidnapped shinobi, and the masked man tells him Team Jiraiya will take him there. The masked man leaves Neji to reunite with his comrades. The Konoha genin join as one team, and discuss how to find the kidnapped shinobi. They’re joined by Neji. 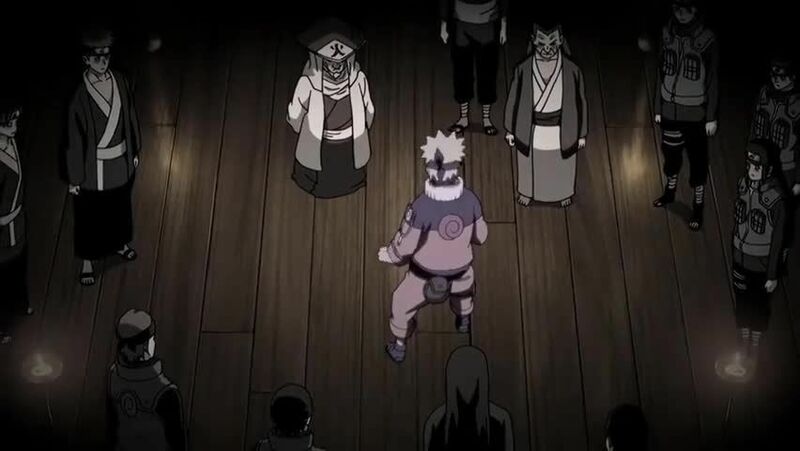 The masked man appears to Team Jiraiya, Hidan, Kakuzu, and Sasori, telling them the test is over. Hidan, Kakuzu, and Sasori leave, while the others are instructed to take the evacuated villagers back to their homes, as well as one other thing. Neji finishes explaining the nature of the experiment they participated in. Konan creates paper butterflies to lead the genin to the captured shinobi, and leaves with her team. The genin find the captured shinobi and release them. Kurenai asks them about the recent events, and the masked man arrives, offering to explain it himself. He removes his mask and bandages, revealing himself as a reincarnated Hizashi HyÅ«ga. Neji explains the HyÅ«ga Affair, and Hizashi explains how he was reincarnated by a bandaged man, and orchestrated the incident to ascertain if his death had effects on how Konohagakure handles its affairs. Hizashi and Neji discuss Neji’s motivations, and how there were changed after fighting Naruto. Neji’s words allow Hizashi to let go of his attachments, and his soul is released. Yahiko sets off to the village to return Komichi his teddy bear Kenta. An explosion suddenly wipes out the village, and Nagato spots Kenta damaged, and grows furious, believing Yahiko to have been killed.